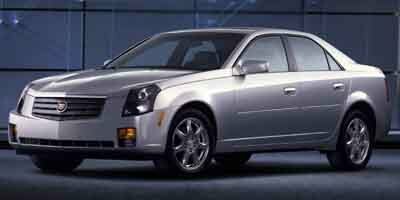 Description Contact Matt Bowers Chevrolet today for information on dozens of vehicles like this 2003 Cadillac CTS . This vehicle is loaded with great features, plus it comes with the CARFAX BuyBack Guarantee. Low, low mileage coupled with an exacting maintenance program make this vehicle a rare find. The quintessential Cadillac -- This Cadillac CTS speaks volumes about its owner, about uncompromising individuality, a passion for driving and standards far above the ordinary. A truly breathtaking example of pure vehicle design achievement...this is the vehicle of your dreams! Lifetime warranty is a limited Powertrain Warranty. Owner must follow manufacturers recommended maintenance on new vehicles as per owners manual. Covers select pre-owned vehicles five calendar years old or newer, with 80,000 miles or less. Other restrictions apply. See dealer for warranty details.